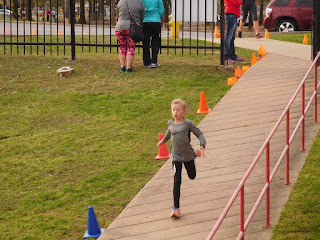 For the first time in a few weeks, Braden was feeling good as he prepared to run his final 5K race before his birthday, the Spring Fling 5K in Cabot. 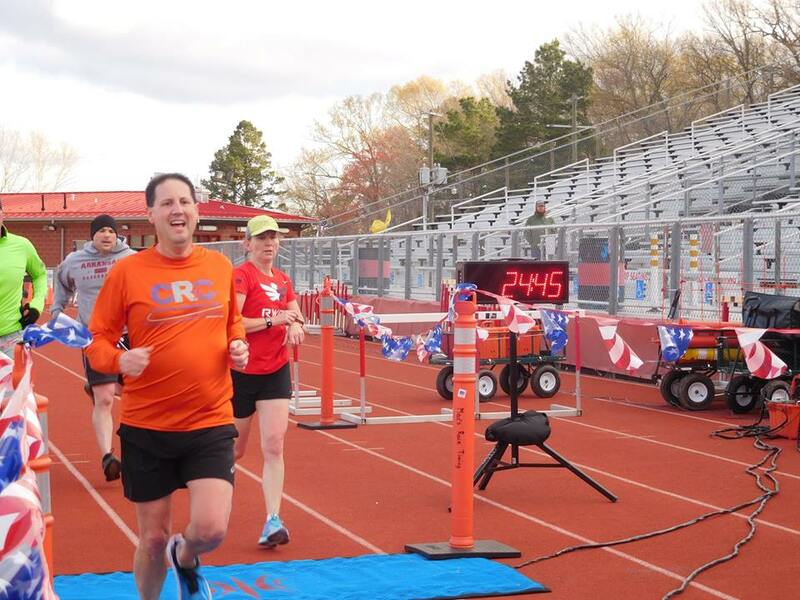 Even though he had a pretty decent race the week before at the Chase Race 2 Miler, he still wasn't in top condition, so he was optimistic about putting up a really good time at the Spring Fling. 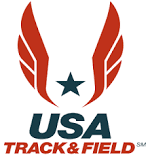 In preparing for the race, Braden attended track practice for the first time this year at UALR for the upcoming USA Track & Field season. Going to track practice really helps his speed and that translates into faster times for his long distance races. In the past year running in USATF, Braden has been able to consistently take chunks of time off his personal bests and it has gotten to the point where it's becoming more of the norm with him beating me during our races. His outlook for the Spring Fling was to be aggressive and try to get below 23 minutes, but as the day of the race approached, I told him it would be tough due to the possible windy conditions. On the day of the race we had to break out the cold weather clothes again because the temperature was in the low-40's with the wind at 10-15 mph. 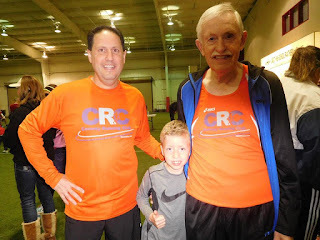 Thankfully, we got to wait at the Cabot High School fieldhouse to keep warm before the start of the race. 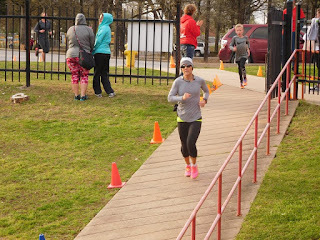 Since it was a chipped start, I wasn't concerned about being close to the start line, but with so many runners packed in, I'm always concerned about getting off to a clean start and not getting tripped up. We had a couple of races last year where we had runners fall in front of us and about 15 seconds into this race someone cut off a runner ahead of us and he took a tumble. I wish I could stop and assist, but I also know that doing so could cause even more runners to fall by stopping and going back. We avoided the crash and Braden took advantage of the wind to his back and some downhills to finish his first mile at a 7:15 pace. Heading into the second mile, Braden started to pull ahead of me and I told him to continue to run strong but save enough in the tank because I knew he would have to go up some hills the last mile and against the wind. Even though his pace slowed up, he looked to be running very well and he ended his second mile at a 7:54 pace. 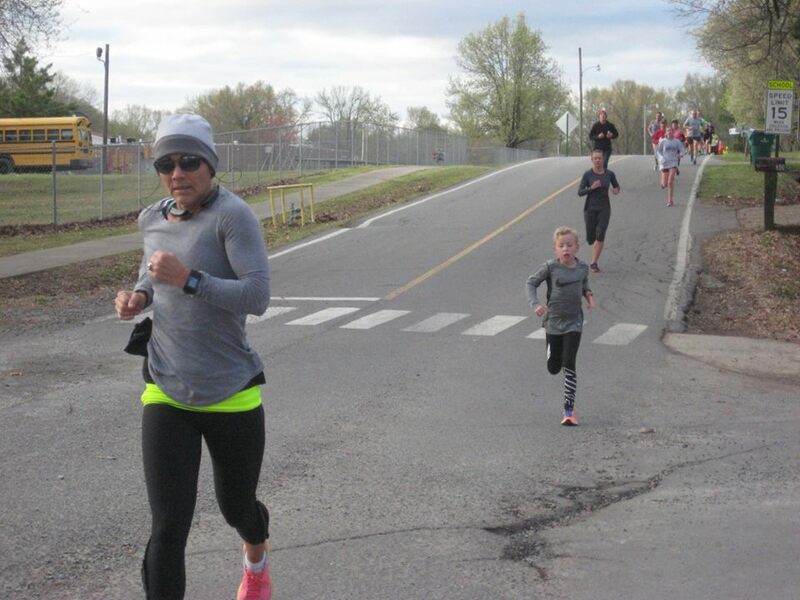 Braden continued to look strong as he headed up the hill midway through the second mile as the winds were gusting. He was about a minute ahead of me, but I was able to keep my eyes on him as he kept a decent lead over his competition. 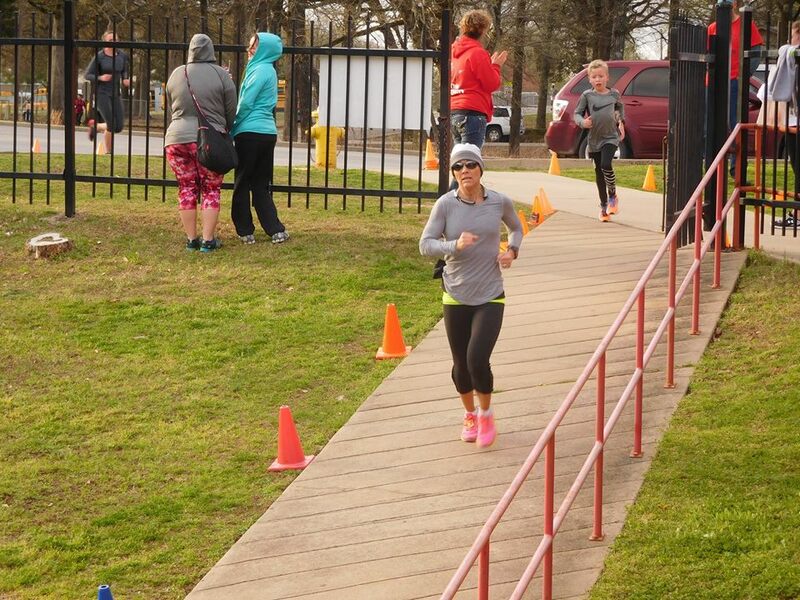 The course ends by leaving the road, going through a parking lot, and heading down a steep slope onto the high school track for the final 300 meters. As I entered onto the track I could see Braden turning it on as he charged to the finish line. Despite the hill and wind, his last mile's pace was the same as his second at 7:54 and the last tenth of a mile he finished at a 5:53 pace. Braden crossed the line with a total time of 23:50, which was only 27 seconds off his personal best from November. 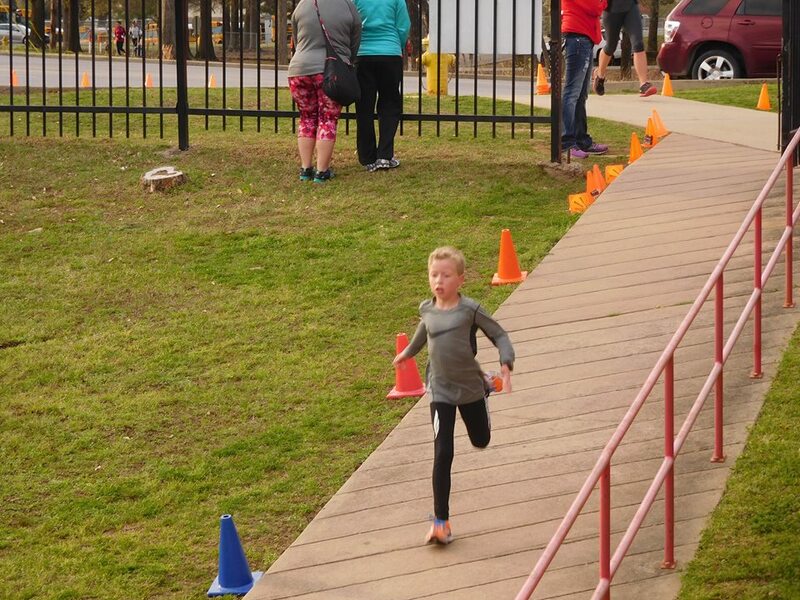 He was 1st out of 6 boys in his age group and had his strongest performance of the year so far. Amongst all males, Braden finished 63rd out of 143, and overall he finished 83rd out of a total of 322 runners. His age-graded percentage was at 76.70% and was the 14th best performance overall. Because this was a non-championship Grand Prix race, he collected all 20 points and is half way towards another championship in his age group with 130 total points for the season. I finished a little less than a minute behind Braden with a time of 24:41, finished 6th in my age group and am in 6th place in the Grand Prix standings. 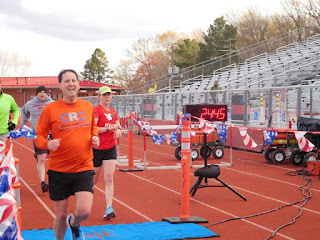 Papa Bernie set a new 5K PR for himself with a time of 25:23, finished 2nd in his age group and is still in 1st place in the Grand Prix standings. Our next race is the Grand Prix championship Capital City Classic 10K in a couple of weeks. It will be Braden's final race as a seven-year-old and will start a run of 4 out of 5 races that will be 10K distances.